This article is about getting some hard data to back up a change in practice – using lightweight rope rescue systems. 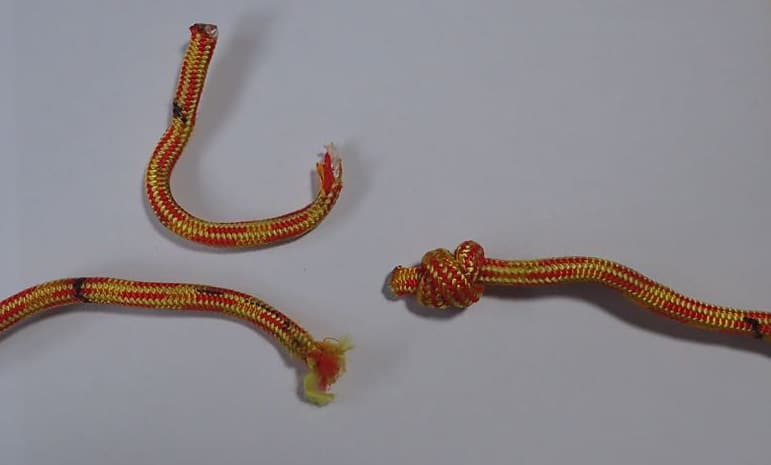 That is going from 11mm to 10mm rope for backcountry rescue and the associated change in Prusik cord size from 8mm to 7mm. Who would want to carry more gear that’s heavier when lightweight may well do the job. Check out what we found out with a bonus download and testing video at the end. PMI Classic 10mm 26.5kN static (CI1801). Edelrid Powerloc 7mm 14kN accessory cord (EN564). A repeatable test procedure was set up. A 20t testbed was used at the Chainman Ltd, 1 Cass Street, Sydenham, Christchurch. New rope and cord were used for testing. 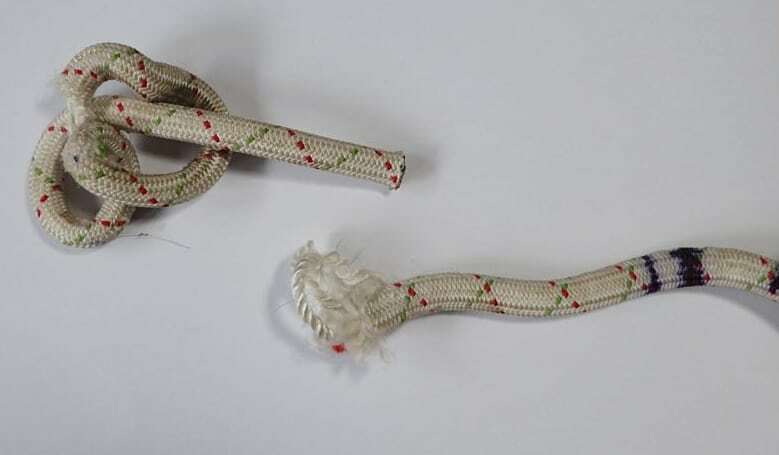 All 10mm rope tests used a figure-8 knot on the bight at one end. 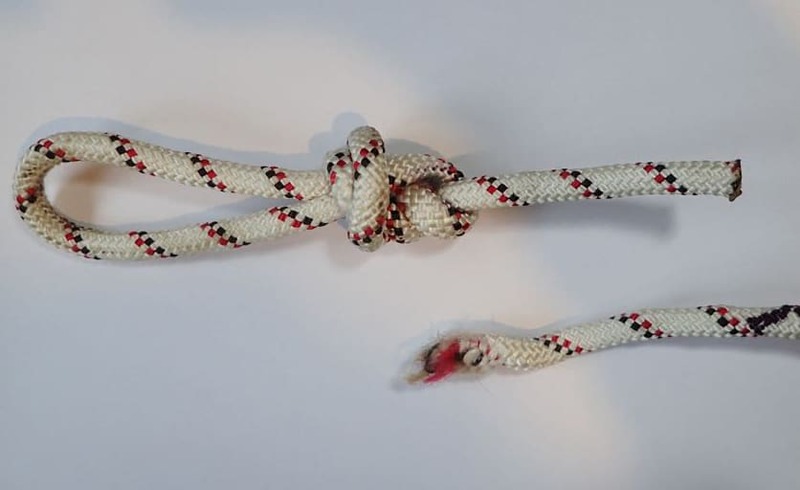 The 7mm cord was tied as a loop – 14kN x2 = 28kN. 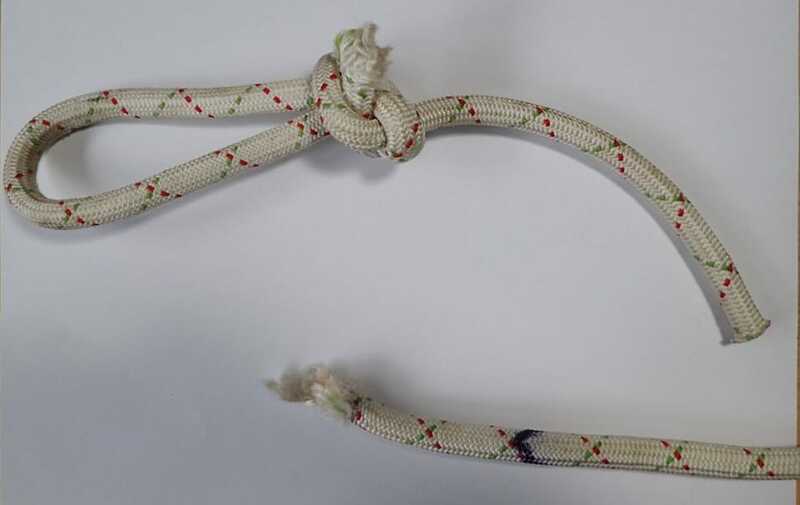 10cm tails were used as standard on the knots and 4cm on the bends. 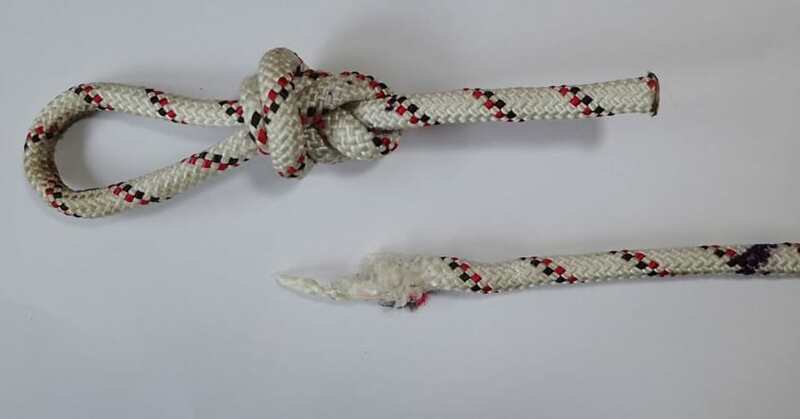 All knots and bends had hand tension. 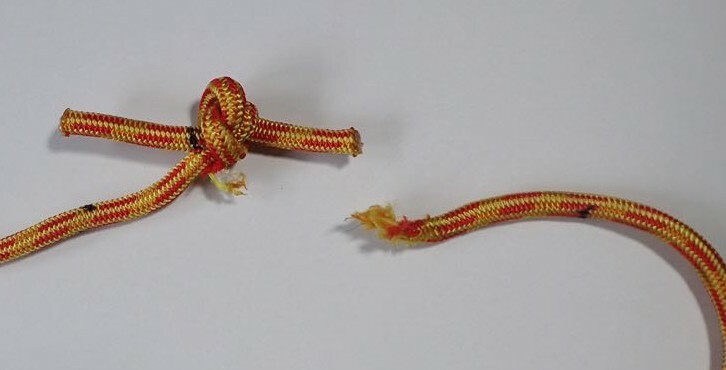 A static safety factor is a load divided into the breaking strength derived from testing using slow pull. The lowest breaking strength has used and rounded to the nearest 1kN. This testing was undertaken to assist us in making informed decisions about using lightweight rope rescue. Could we keep safety margins acceptable for the core rope rescue activities in the backcountry? 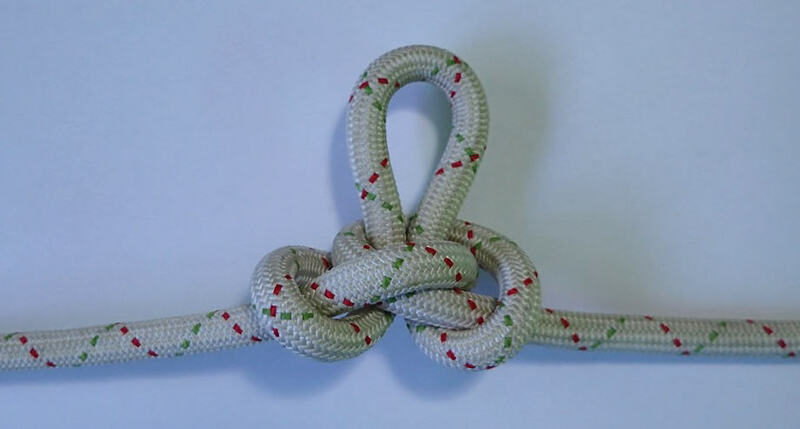 For a 1kN load, the safety factors are well beyond 10:1 for a single 10mm rope. 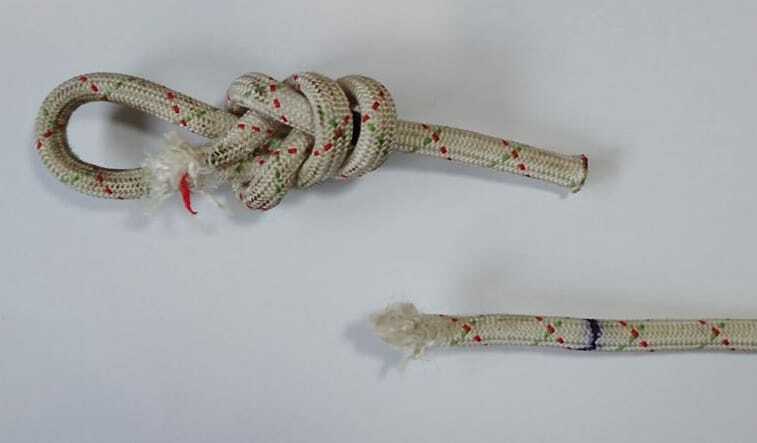 For a 2kN load, the safety factors are under 10:1 for a single rope 10mm rope and range from 8:1 to 9.5:1. 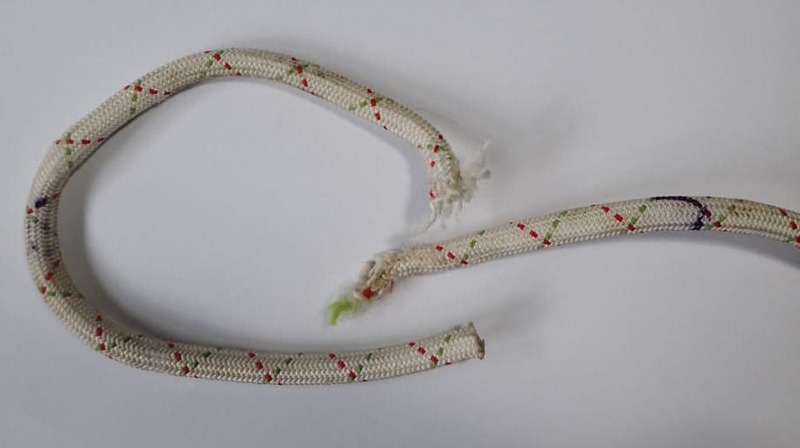 The safety factors for the 7mm loops meet or exceed the single 10mm rope and range from 9:1 to 10.5:1. 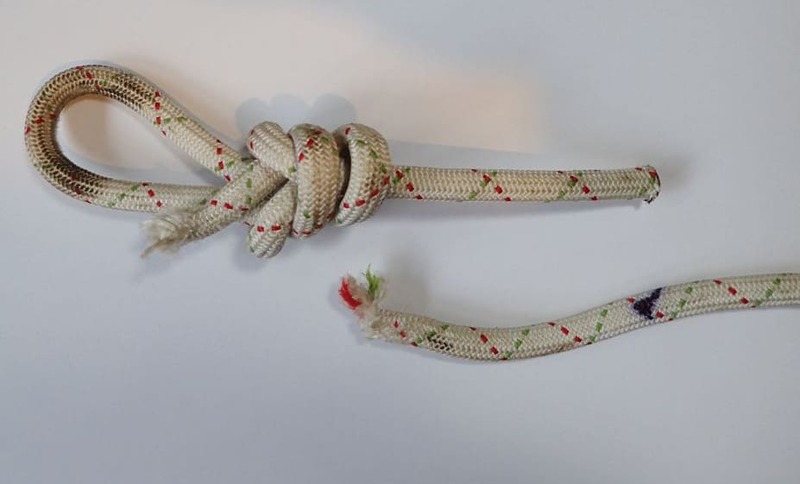 For a two-tensioned rope rescue, the safety factors from a system point of view would exceed 10:1 if 1kN was shared evenly on each of the two ropes. 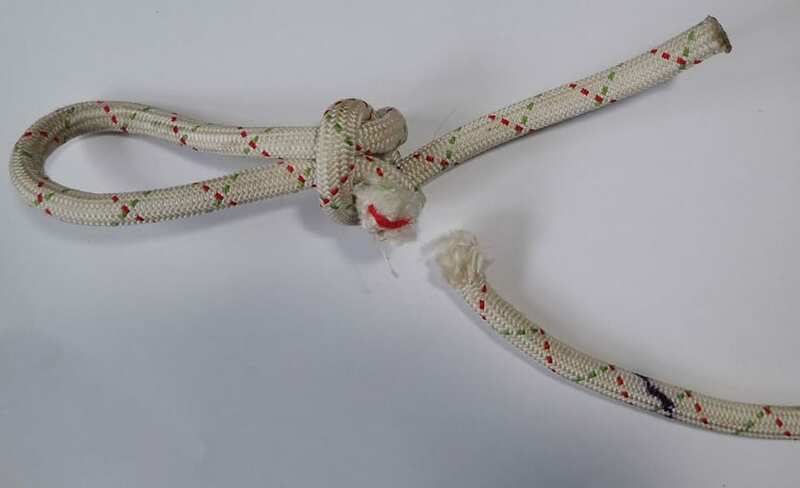 We have only done a couple of tests in each type of knot and bend so this a small sample size. As always more testing will provide more reliable data. Do you want all the testing mentioned in this post on one convenient page? Let’s lighten the load. Testing and analysis of a lighter weight rope rescue system.